Two quilts done for customers, two styles. Here's the first one. I quilted some feathered blocks on this amazingly pieced blue toned quilts. The quilt is a pretty pink "baby" quilt with appliqued hearts. An overall pantograph of "simple hearts". Two different styles, both adorable. Have a great week. Beautiful. I know how much work goes into one of those, you did an awesome job. 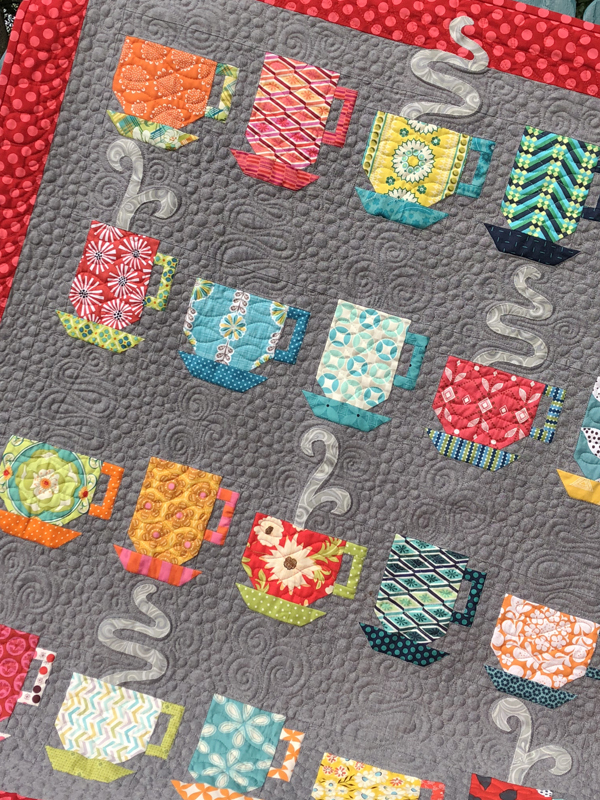 Beautiful quilting on both, Michelle.